Benefit sanctions are one more way of trying to keep us under the rule of the 1%. But we’re not staying down any more. 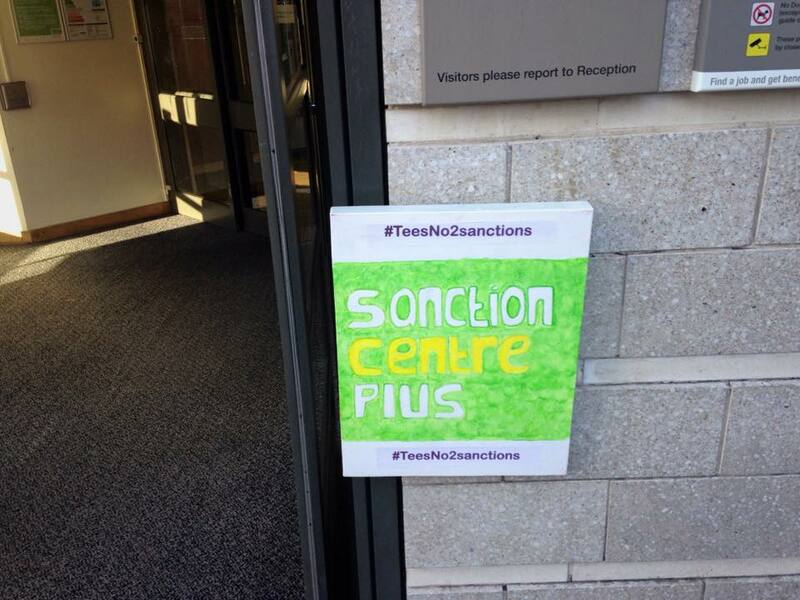 More and more people are facing benefit sanctions; 2 million people have had their money stopped in the past 2 years. That’s 2 million people, many of whom have been plunged into poverty, unable to heat their homes or even eat. How is this meant to help prepare people for work? How can we tolerate this when we know the 1% have and control all the money? When tax dodgers, bankers, corporate profiteers and the politicians who work for them get away, robbing us all with austerity? Our city is taking ACTION on 19 March. Join us at 12pm at Hartshead Square, Sheffield city centre, outside the Jobcentre Plus office. If you would like to speak at the action or have any ideas to make the day creative and bold please let me know. Benefit sanctions must be fought. ◾Not applying for jobs when waiting to start a new job! ◾Missing an appointment on the day of the funeral of a close family member. 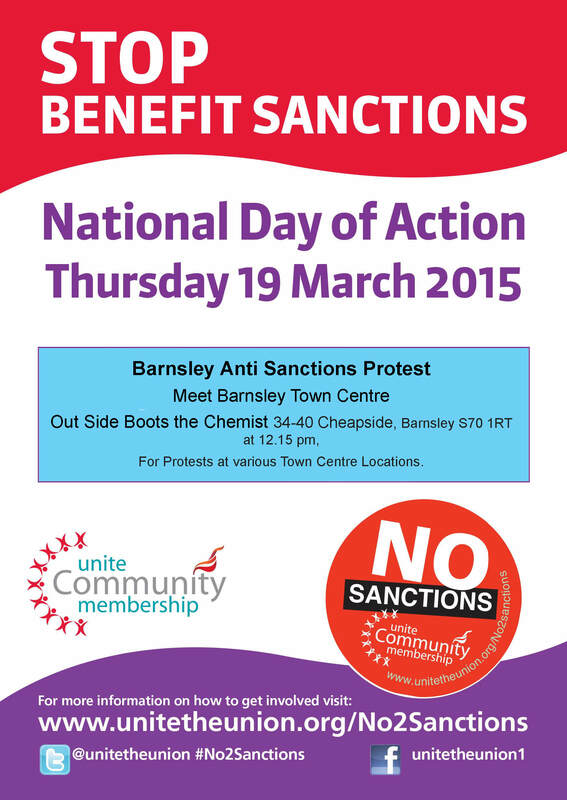 Up and down the country on Thursday 19 March we will be protesting against the cruel use of sanctions. 1.Join an event near you on Thursday 19 March to stop benefit sanctions in your community. 2.Sign our petition calling on the government to stop using sanctions. 3.Share your story – we are looking for people who have been sanctioned to tell their story. 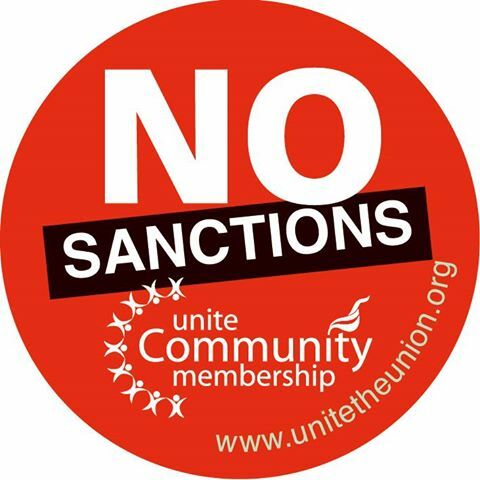 4.We want to show the reality and impact on people’s lives – show your support – share on Twitter and Facebook #No2Sanctions Like us on Facebook. Comments Off on No To Sanctions! 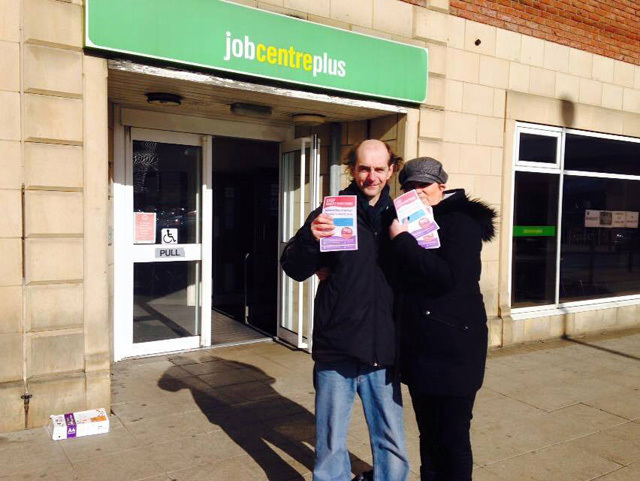 Barnsley Sanctions Campaigners out raising awareness for the March 19th today. Here is the Full List of Sanctions Protests in our Region. If you require further materials call The Leeds Regional Office on 0113 236 4830 or Email claire.mawson@unitetheunion.org. Address: 79 Corporation Road, Middlesbrough TS1 2BA. Grimsby Anti Sanctions Protest. March 19th 12 o’clock Rally at Riverside Square. Barnsley S70 1RT) at 12.15 pm, For Protests at various Town Centre Locations. Leeds Unite Community Anti Sanctions Demo. Meet 12 O’Clock Address: 64 Briggate, Leeds LS1 6LH (Outside Body Shop) For Protests at various Town Centre Locations. Bring Friends, Banners, Flags, Music, Noise and Imagination! 12 pm to 2 pm. Sheffield No to Sanctions. Meet 12 noon at Hartshead Square S1 2FD outside Atos Assessment Centre for protests at various city centre locations No Sanctions for Claimants, No Targets for Staff. Redcar Protest. 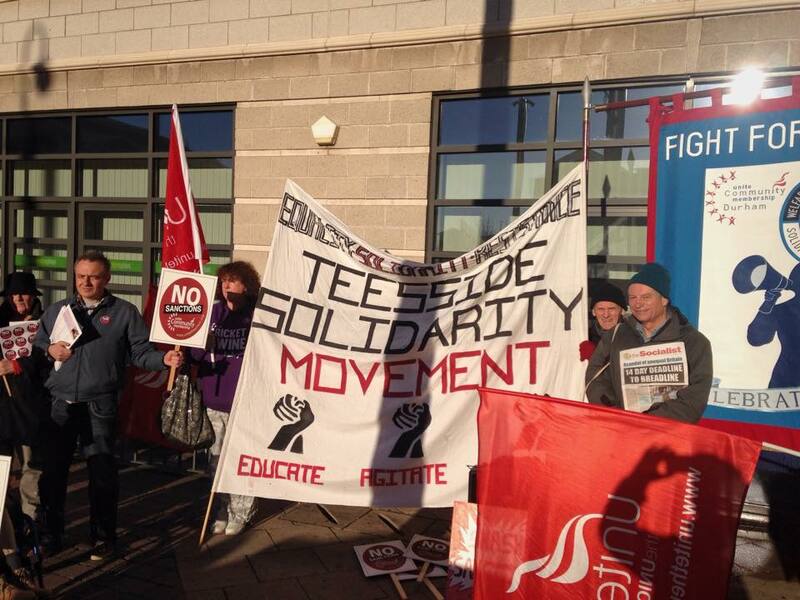 10 a.m. – Redcar Jobcentre Plus, Portland House, West Dyke Road, TS10 1DH. Stockton Protest. 2 p.m. – Stockton Jobcentre Plus, Bridge Road, TS18 3BW. 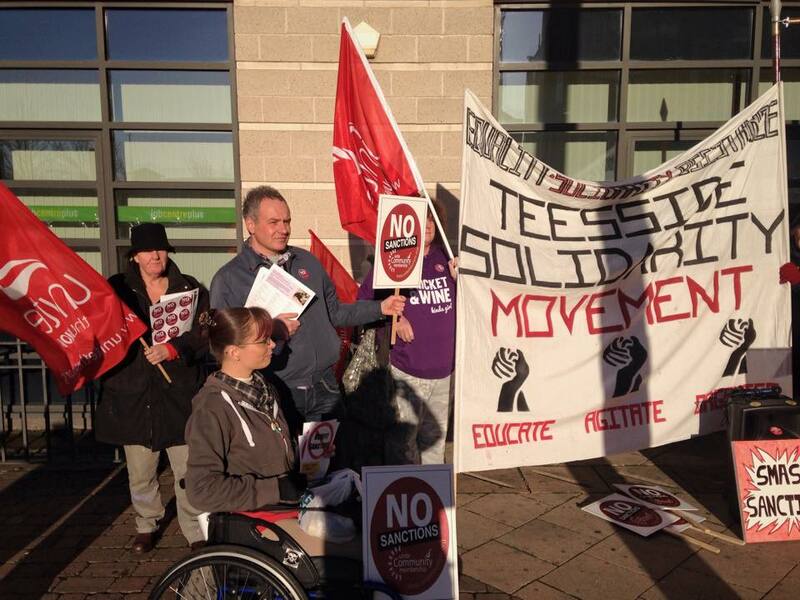 We are now up to Ten Anti Sanctions Protests in our Region (Selby and Sheffield just made 9 and 10). (Outside Body Shop) For Protests at various Town Centre Locations. 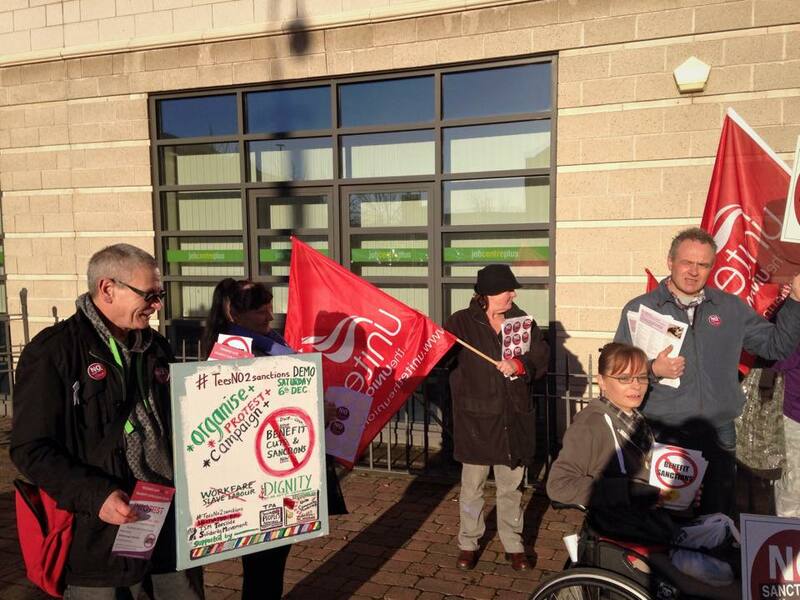 Meet 12 noon at Hartshead Square S1 2FD outside Atos Assessment Centre for protests at various city centre locations. Britain’s largest trade union, Unite, will kick start a nationwide campaign tomorrow (Wednesday 4 February) against benefit sanctions which are pushing people into poverty and punishing debt. The campaign, to stop benefit sanctions, will be launched on the same day that the House of Commons work and pensions committee questions Esther McVey, the minister for employment, over the government’s sanctions regime. 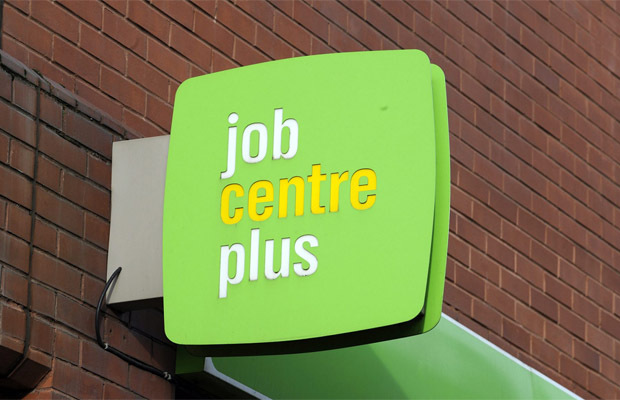 Unite is angry over the way the government imposes benefit sanctions to ‘vulnerable’ claimants – leaving millions of people in poverty, debt, ill health and angry. On Thursday 19 March, Unite is calling for trade unions, charities and community campaigners up and down the country to take part in a ‘National Day of Action’ with Unite Community Membership, as part of the campaign. Unite head of community membership, Liane Groves, said: “It is no wonder people are angry. The government has hit millions of vulnerable people and their families with benefit sanctions – causing the rise of food bank Britain. 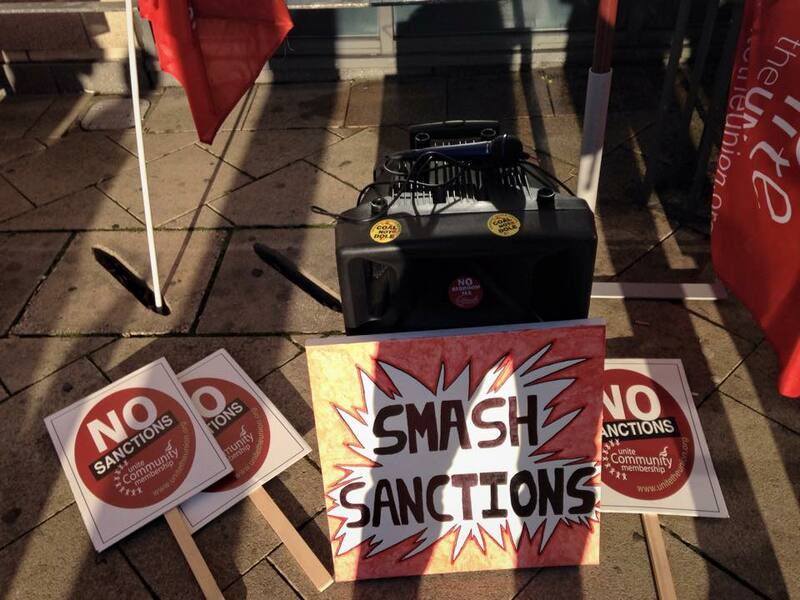 “Sanctions are cruel and ineffective – often handed out for no good reason. “We want to send a message to Esther McVey and Westminster that the government is failing to support vulnerable people in our society. More needs to be done to support us all in time of need – not make personal situations worse. 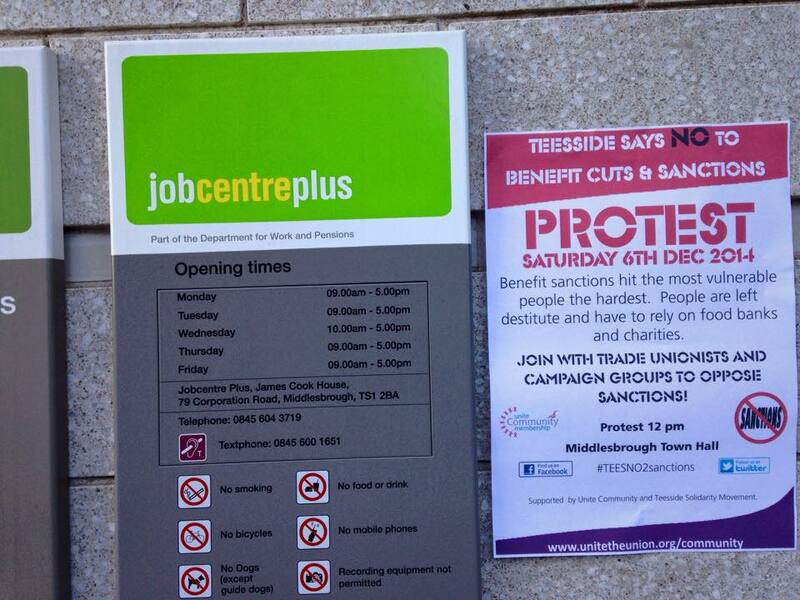 Below is a useful booklet by Job Centre Plus, explaining sanctions and how to avoid them. Unite Community link up with TSM and the People’s Assembly to protest against sanctions today! 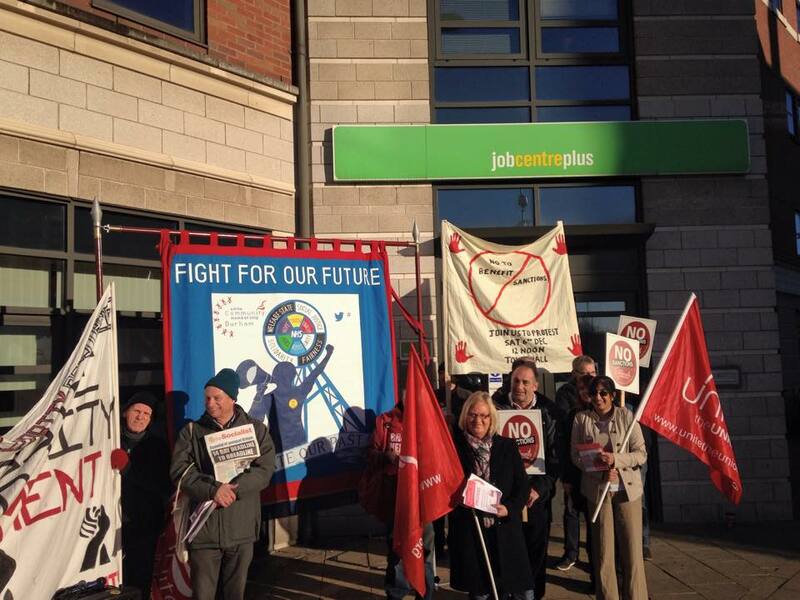 Held outside the Job Centre on Middlesborough, Unite Community plan a march through the city on Saturday. More here. Unite Community members welcome to the inquiry into the cruel sanctions programme that has been forcing the most vulnerable in our society into the hands of loan sharks, and becoming reliant on hand outs from food banks. We also realise that without pressure from campaigners that this will not be enough to reverse the tide of cruel and unnecessary welfare reforms that tries to blame the poorest in society for the problems caused by those with the most wealth. Unite Community members will keep up our support for those falling foul of this upside down system, whilst at the same time organising our communities to fight back.